We often find people are really not quite sure what a ski boot’s ‘flex’ is all about, so today we’ll explore the concept of flex, what it means, the different ratings, stiff vs soft flex and how you can choose the right one for you. What is flex? The flex of a ski boot refers to how difficult it is to flex the boot forward. In other words, the ‘flex’ indicates the level of resistance the boot will provide as you bend your ankle forward. The choice of flex is crucial to the performance each boot will deliver and is selected based on skier level, discipline and weight. A boot needs to be stiff enough to support the skier’s neutral stance—a boot that is too soft will collapse under the weight and leverage of the skier, creating too much bend in the knee and lead to muscle fatigue. Conversely, a boot that is too stiff won’t move sufficiently when the skier applies forward pressure, restraining them and preventing them from optimal use of their skis. An overly stiff boot will also force your centre of weight position too far back on the skis, which will impact your ability to turn and control the skis and it can also result in sore shins. What is a flex rating? A flex rating is a number assigned to a boot that conveys how stiff that boot is in forward flex. Each brand has their own flex rating and so it is not standardized. 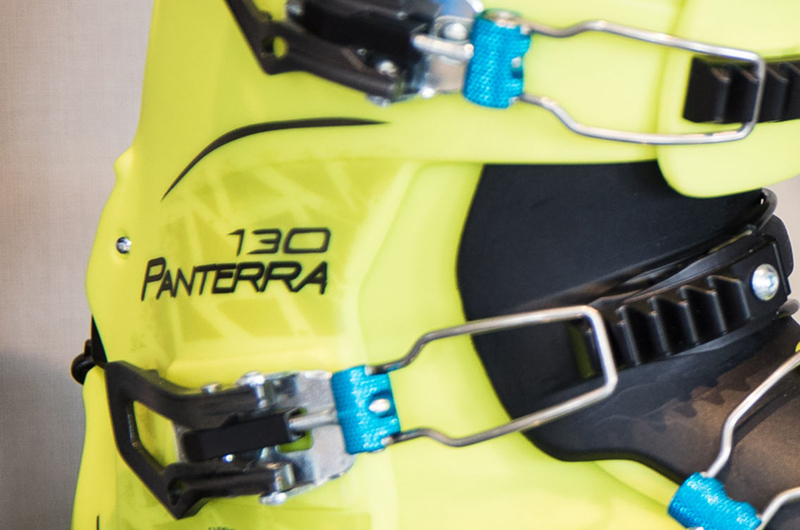 The higher the flex rating, the stiffer the flex feels when the skier applies pressure to the front of their boots to bend their ankle and the more rigid and reactive the boot will be. The lesser (softer) the flex index, the easier the boot will be to bend at the ankle, however, this also means that the boot may be less reactive as the skier applies force towards the ski. How do you know what flex rating a particular boot has? The flex rating is often included in the name of the model of the boot. For example, the Tecnica Cochise 110 model, means it has a 110 flex rating. You will also often find the number printed on the side of the boot. Can the flex of a boot be changed? Most boots can be customized to make them softer or stiffer. Some models also have adjustable flex options. Do flex ratings vary between brands and models? Yes, each manufacturer has its own flex rating system and so a soft flex in one brand, might actually be similar to a stiff flex in another. Also, flex ratings do vary within brands depending on style of boot; a medium flex in a racing style boot, can actually be similar to a stiff flex in a recreational boot. For example, a race flex 80 might feel similar to a recreational flex 100. 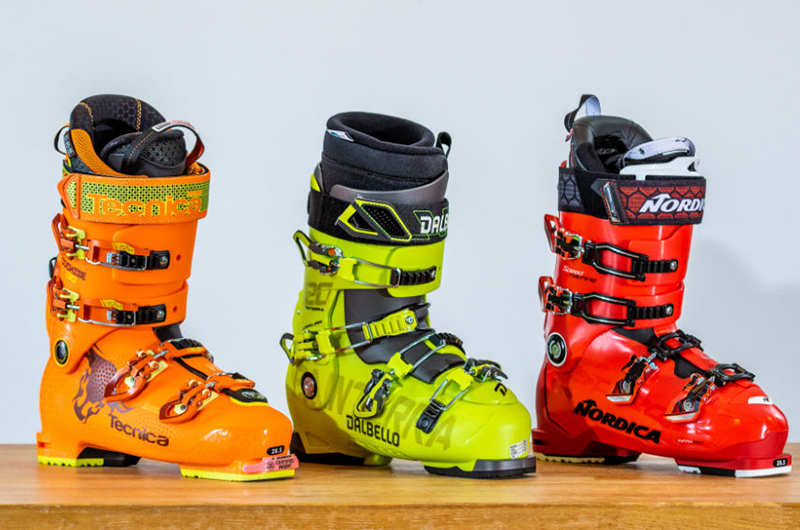 The ski boot manufacturers are always experimenting with different plastic technologies, and so between brands and models different plastics will react in different ways when the boots are flexed, factors such as temperature and terrain should also be considered, and so the flex ratings should only really serve as a general guide for the skier and boot fitter when choosing a new boot. A softer flex allows for easier movement of the boot’s upper and lower cuff, which means less force is required, however, there is a pay off as the rebound force will also be weaker. A softer flex is generally desired for the beginner skier, who is still learning the technique of applying pressure into the front of the boot. A softer flex may also be appropriate for a freestyle skier, or a person of lighter weight. As a general rule, softer boots will be easier to get on and off than stiffer boots. It is worth noting that although softer flex boots available on the market start at flex 50 for women and 70 for men, the very soft boots are most often of low quality, with inferior liners, buckles and cheaper plastics. It is also worth noting that beginner skiers who are going to ski more than a couple days a year will very quickly ‘outski’ a boot with very soft flex, and continuing to ski in such a boot may actually hold them back from progressing to the intermediate/advanced levels. Most good custom fitting boot shops will therefore often avoid stocking too many of the very soft types of boots. Medium-flex boots are tailored towards to beginner/intermediate to advanced skiers and provide increased responsiveness, which in turn delivers better turns and higher speeds. They’re best for those who can comfortably ski groomers; green, blue, and easier black runs. They also provide enough support in most cases for a skier who wants to tackle steeper terrain, moguls and ungroomed snow. Medium flex boots are generally made of better quality materials than the very soft flex boots and they are usually have more features that can be customised. A stiffer flex is desirable for the more aggressive skier as energy transfer from leg-to-boot-to ski as well as the rebound will occur more efficiently. Boots with a stiffer flex are designed to deliver maximum speed and responsiveness. Stiffer flex boots are usually made with liners that have hardier and denser materials, the plastics and buckles and straps are often of a higher grade and therefore are more expensive. 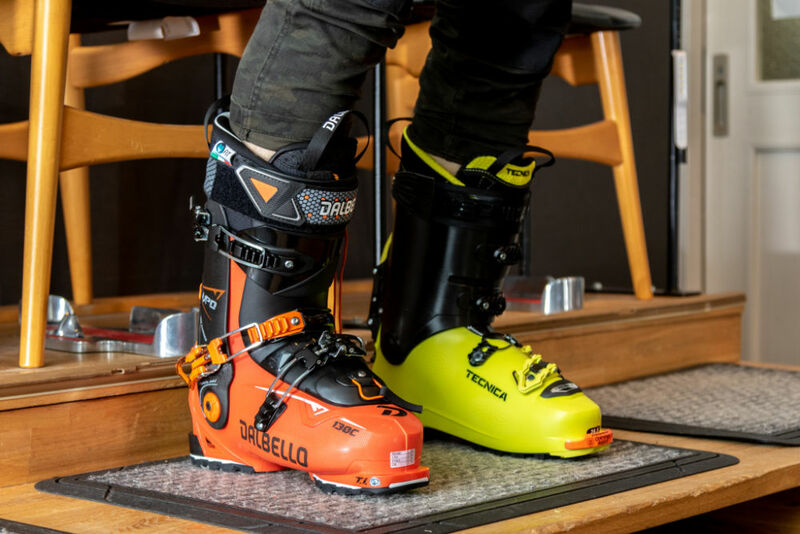 Skiers who ski hard, or who ski more than just a few days a year may desire a stiffer flex boot both because of the higher quality of materials as well as durability and ski-ability of the boot. Stiff flex boots may also be appropriate for beginner and intermediate skiers who are taller, heavier, or stronger than the average skier. This is due to increased ability to leverage a stiffer boot; these people are often better off skiing in a stiffer flexing boot. Stiff flex boots are best for skiers who want to go anywhere and do anything on the mountain without restriction. Note: A stiffer flex may also be good option for a beginner or intermediate skier who has restriction of movement at the ankle due to tight calf muscles or a lack of flexibility in the joint. In these cases, a stiff flex or very stiff flex may be recommended to a beginner. A very stiff flex is a great option for taller, heavier or aggressive advanced to expert skiers who require a high level of responsiveness to deliver precise performance. Recreational boots top-out at around 110 flex for women and 130 flex for men, and beyond that, the range goes into racing models. The top end flex rated recreational boots often have elements of combined technologies from the racing departments, but still maintain all the features designed for comfort and warmth. The top end flex boots in the recreational range will feature all the best that a boot company has to offer with regards to quality, performance and durability, and these are therefore the choice of many ski professionals and every-day-seasonal skiers. Beyond 110 flex for women and 130 flex for men, the boots tend to become narrower in fit, they will have thicker shells, and thinner liners. These boots are designed for maximum performance and the pay – off is generally the need to give up a little on comfort. It is important to note that a 130 flex in a recreational boot may actually feel very different to a 130 flex in a race boot. So which flex is right for you? 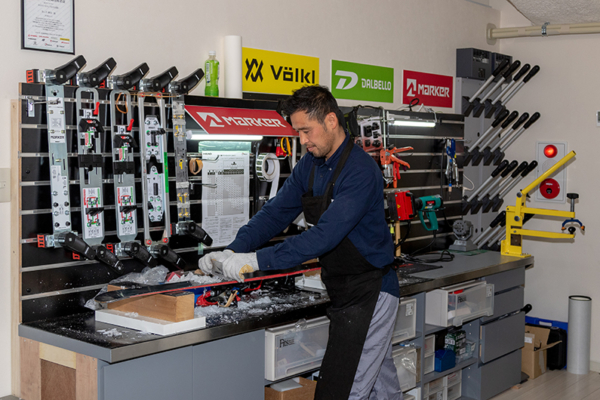 There are a number of interacting factors to consider when choosing the most suitable flex for each skier’s individual circumstances. This is why it is highly advisable to seek the advice of an experienced boot fitter. A good custom boot fitter will make a recommendation of flex based on the skier’s height, weight, ability, foot and ankle biomechanics and personal preference. 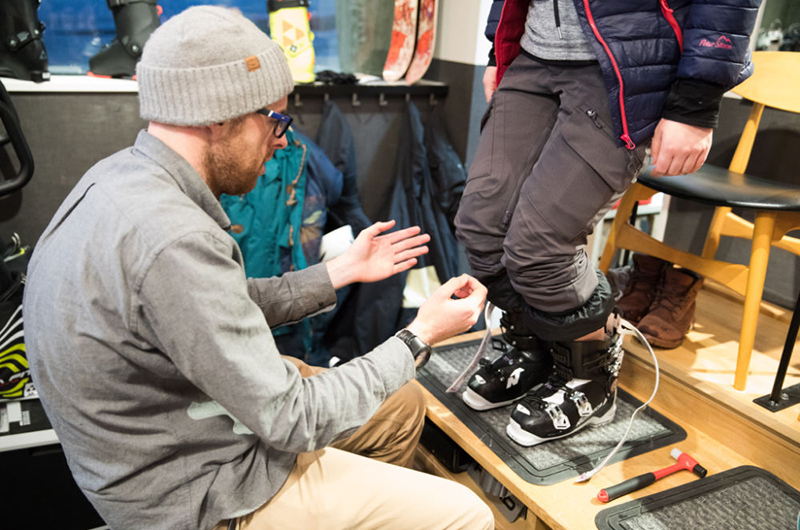 The boot fitter will usually observe the skier flexing a boot and may make a judgment to either recommend a stiffer or softer flex based on their observation in the shop. 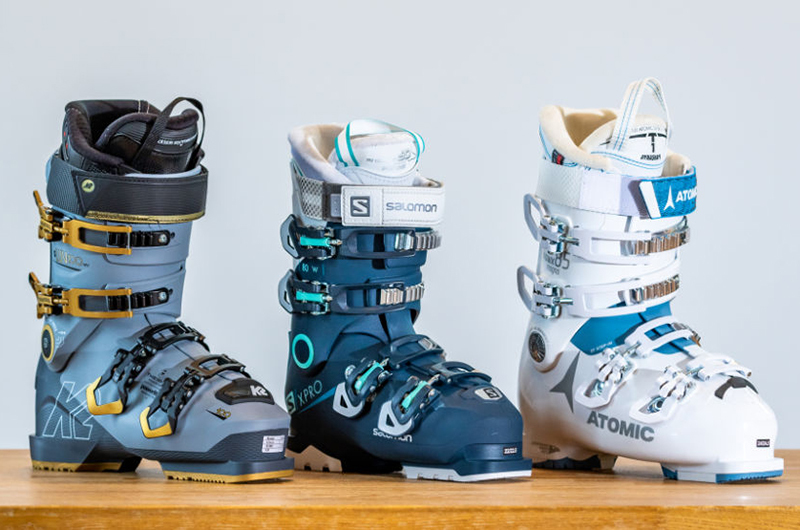 The flex of some ski boots varies considerably in different temperatures depending on the type of plastics used in manufacturing. The boot fitter should also advise the skier on this fact as part of the consultation. 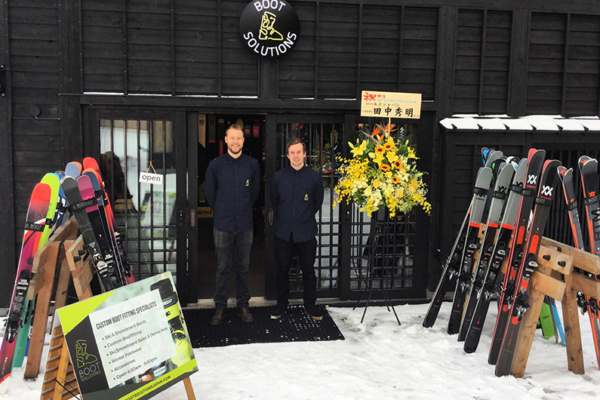 Boot Solutions, Niseko’s only specialist custom bootfitters, this season opened its new Custom Bootfitting Store at ‘The Village’, Niseko Village. 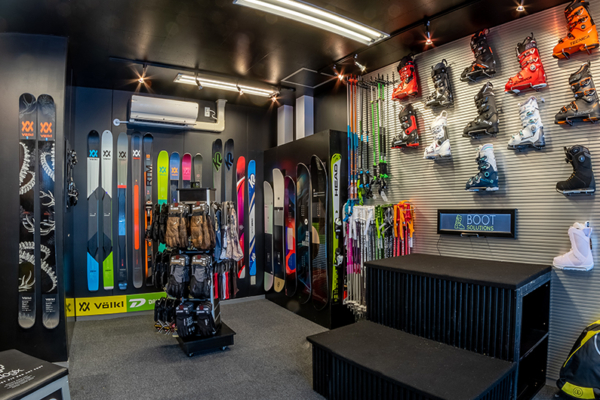 Similar to its flagship store in Hirafu, the new satellite store offers custom ski and snowboard bootfitting, with an extensive range of new season models, together with a selection of après boots and accessories. 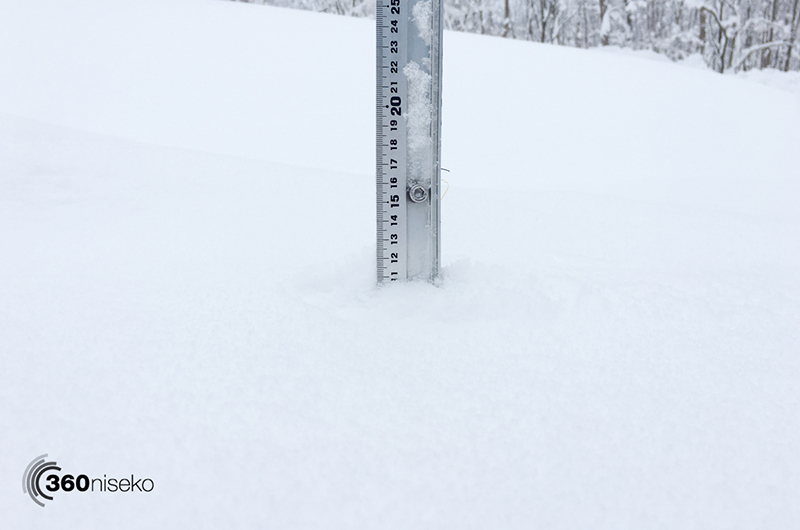 In addition, the Niseko Village store will offers premium 2019 ski and snowboard sales, demo hire and workshop services. Boot Solutions is owned and managed by Dr Ned Buckley, a Specialist Podiatric Surgeon, Podiatrist and Master Bootfitter. Its flagship store at Nozomi Views in Hirafu was established in 2006, followed by the opening of its Hakuba store in 2006. 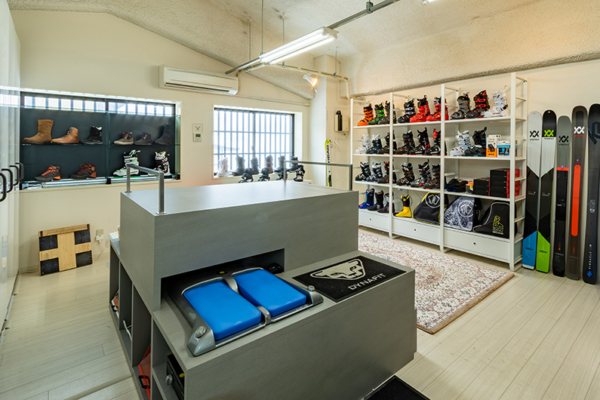 Boot Solutions stocks one of Japan’s largest range of ski and snowboard boots, with over 120 models from 11 leading brands. The business offers tailored solutions for all skiers and boarders, catering for all ages, abilities and foot types. The stores also stock a selection of quality winter footwear and accessories including boot bags, ski socks, boot heaters and dryers.